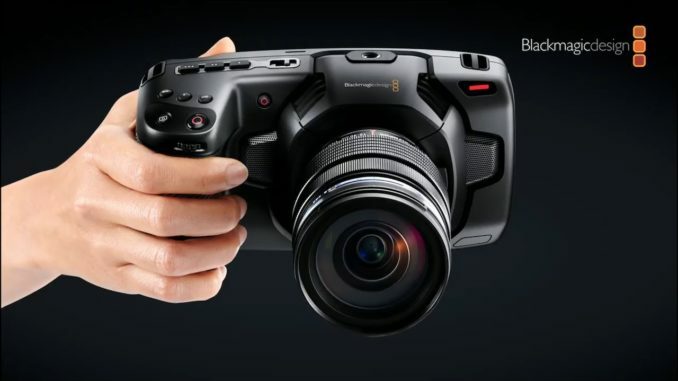 HomeFilmmakingIs the Blackmagic Pocket 4K The Best Entry Level Cinema Camera? When initially starting out, a budding filmmaker has to balance the cost of his camera versus the results he’s going to get. Most are now starting out with their family video camera or mobile device like the iPhone X. But when you’re ready to make your move and buy your own camera, what would be the best rig to get your feet wet in 4k? Well, one YouTuber thinks that the Blackmagic Pocket Cinema Camera 4K is that camera. 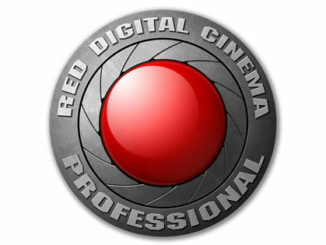 It’s just a pure, 4K cinema shooting machine. And that’s all that matters, right? – Kai W.
Kai W is a popular tech and filmmaking journalist on YouTube. He got the Blackmagic Pocket Cinema Camera 4K to test out, and aside from criticizing the plasticky build quality, and making fun of the “most ridiculous acronym ever,” Kai says that Blackmagic’s lightweight 4K camera has everything you need to not only get started, but to learn the basics of using a cinema camera before going to the next level. 4K Video Only. The first thing that Kai noted is that the BMPCC4k is solely focused on shooting 4K video. While most DSLRs and Mirrorless cameras divide their technological focus between shooting stills and video, the BMPCC4K is video only, shooting dual ISO with nice looking dynamic range and sharper video. Kai does critique the BMPCC4Ks, autofocus capability, which he says takes a while due to hunting issues. “It’s just a pure 4K shooting machine, and that’s what matters,” Kai says. Kai also likes its capability to record a variety of media, including CFast 2, SD, and also connecting an external hard drive to record directly to. This gives filmmakers options. Lightweight Build Quality. And while Kai says the plastic build quality isn’t going to win any awards for being robust, or surviving a touch shoot out in the field, he does point out that the BMPCC4K is very light, lighter than a Canon 5D Mk. IV. This gives the BMPCC4K the ability to include a massive 5″ LCD Touchscreen, that’s nice and easy to use. His only complaint here is that the screen isn’t tiltable, and that’s a good point. It’s not going to win marks with the YouTube Vlogging crowd, but it’s not meant to be. But int’s interesting to note that Blackmagic did include a tally light on the front face, and that’s a nice added feature. The other wrap is one that has always plagued the Pocket line … poor battery life. You’ll get under an hour. So make sure you buy extra batteries or have an AC connection to keep it plugged in. This is probably the easiest cine camera to use, even easier than most consumer cameras. Easy to use. But the touchscreen interface is easy to use. The benefit here is that shooters can buy into the Blackmagic ecosystem, cut their teeth on the CameraOS, and when they’re ready to move up to a more advanced system, like the URSA Mini, they will find the learning curve remarkably smooth since it uses the same menu system. Kai also says that thanks to its trio of customizable buttons on top, users can devote their favorite features to be changed at a simple touch of the button. There’s also a dedicated button for high frame rate, and one for checking focus. “If all cameras could switch from normal frame rate, to higher frame rate so easily, the world would be a much better place,” Kai exclaimed. Video Quality. Kai says that the 4K video offers nice shadow detail up to ISO 6400, and it does offer 14 stops of dynamic range. The BMPCC4K is a cine camera with cine features. 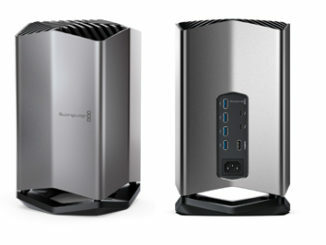 And since Blackmagic recently announced their own flavor of RAW is in beta, it will become even better, especially when editing or color correcting in DaVinci Resolve. Price. There’s no denying that Blackmagic deliberately meant to have the price of the BMPCC4K as a feature. At under $1300, it’s hard to argue that there’s another camera out there that offers cinema quality performance for that price. I haven’t had a chance myself to take the BMPCC4K through its paces, I hope to soon. Notwithstanding, Kai makes a compelling argument, especially when you consider that not only will the camera grow with you, but it will certainly prepare an entry level filmmaker for the next level.